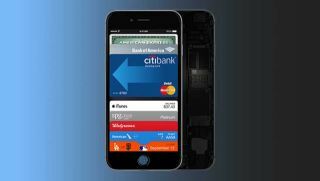 Apple Pay - will it flourish? Apple Pay was one of the big cornerstones of the Apple event in Cupertino, but the proprietary payments system appears to have not provided too much worry for a potential rival in PayPal. Many of the features being promoted by Apple are currently offered by PayPal, but the might of the Cupertino outfit in tech means that nobody fails to take the company seriously. Speaking to TechRadar, PayPal's Rob Skinner explained why he's not running scared, as well as firing a good humoured jibe about the truly dreadful live feed that Apple provided complete with timeouts, jumps and a Chinese translator. "Nobody can dispute Apple's strong track record, but payments is a difficult area," he said. "It's much more difficult to do payments than to keep a live stream working!" "We were very interested in Apple's announcement but there wasn't a lot that was surprising, least of all to us," he added. "One of the most interesting things was essentially how much of the language that Apple was using that we have been using for a long time - things like not sharing information with the merchants or your credit card details. "We're quite surprised that Apple Pay has limited functionality. You can't expect people just to swap their leather wallets for digital ones, you have to offer more and there is nothing to reward loyalty or provide offers or anything built in with Apple Pay." Skinner pointed to PayPal's lengthy track record in digital payments and suggested that success will not come overnight - even if you have a fruity logo. "A lot of companies have offered digital wallets because it seemed like a good idea at the time, but without really understanding what they were offering," said Skinner. "We are different. We have 150 million active digital wallets and we've spent the last 15 years building up a network of over 15,000 financial institutions. "At PayPal we don't back one horse - and say you can only use an Apple device because we know our customers have multiple types of device and may need it to work on Android etc." Skinner uses Apple devices himself, and both he and PayPal were enthused by one particular product - with the Apple Watch announcement a highlight of the big reveal. "We respect Apple and we want to congratulate them on the iWatch," he concluded. "As a company that has done payment on wearables for some time it's really interesting to see."